Museum venue with a view. 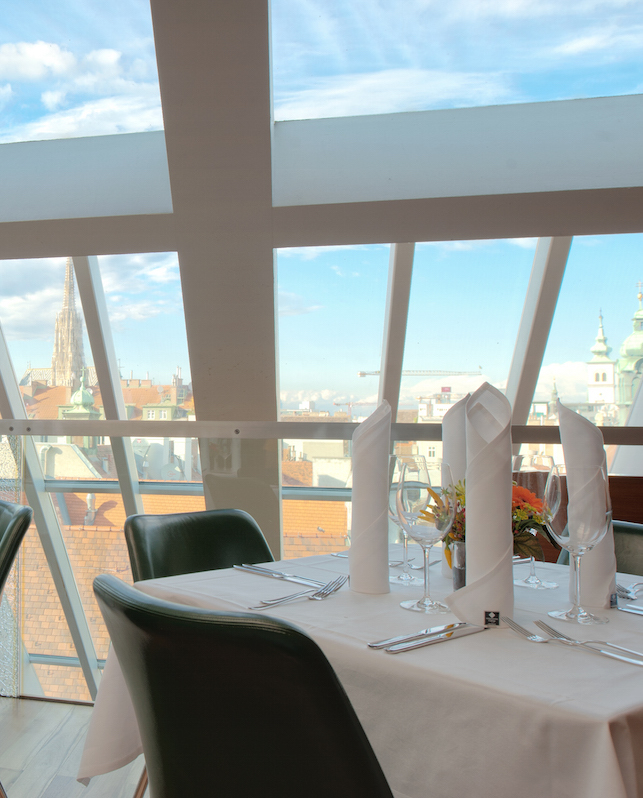 Enjoy the incredible panoramic view over the rooftops of Vienna and St. Stephen’s Cathedral. 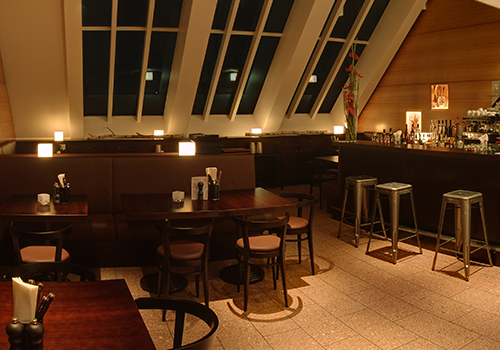 The two-storey top floor awaits you with its unique atmosphere. Whether you wish to hold a stand-up reception or enjoy a five course dinner – there are no limits to your creativity. This venue is ideal when combined with events taking place in the adjacent event hall. The seating arrangement is versatile and can be arranged as requested. 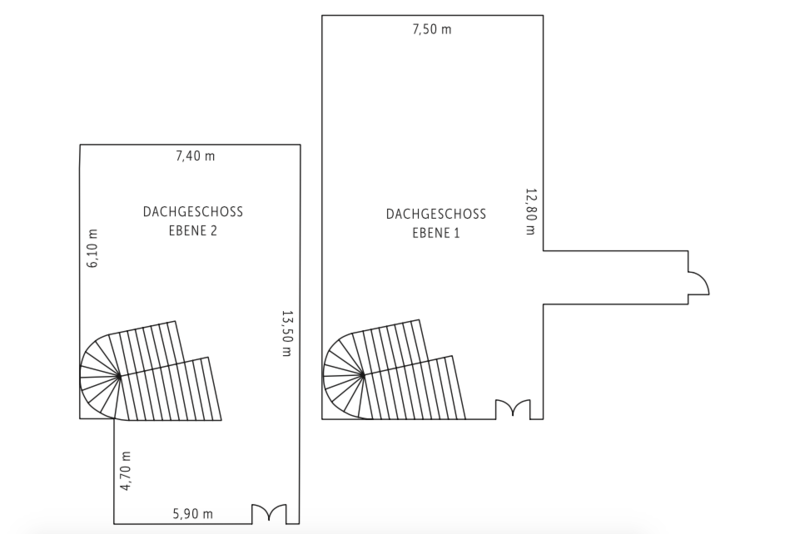 A café-style seating accommodates up to 60 people per level. 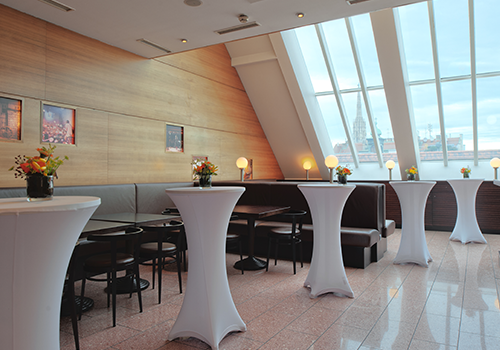 Using high tables can increase the number up to 80 per level. Sound engineering for speeches is available. Additional equipment from our stage engineering partner can be provided on request. 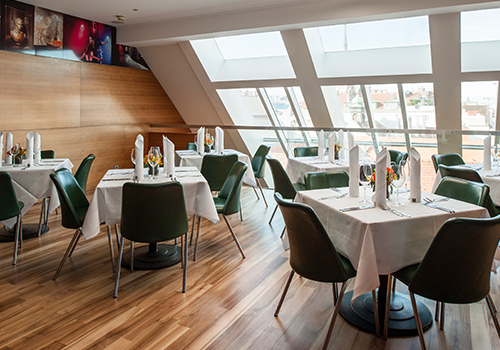 We look forward to welcoming you at Haus der Musik. Would you like to arrange an appointment to personally inspect the venue, please don’t hesitate to contact events@hdm.at.